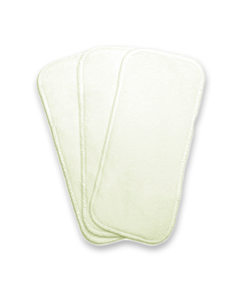 Booster Inserts for use with Newborn Covers. Babies often "out wee" newborn size nappies before they "out grow" them. 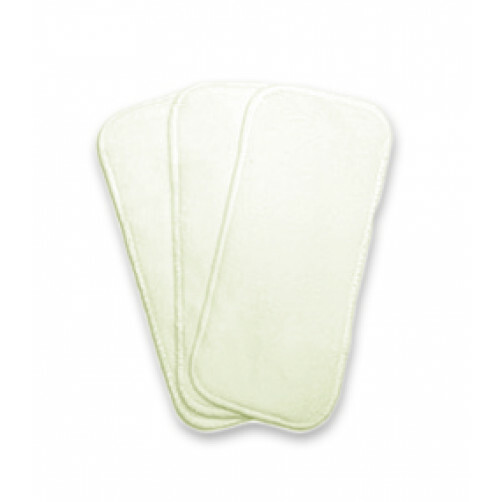 By adding a booster insert, the absorbency of the nappy is effectively increased. 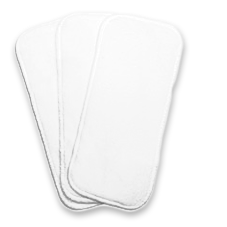 Newborn Booster Inserts are very similar to regular size nappy inserts, they are simply smaller to allow for a trimmer, snug fit. 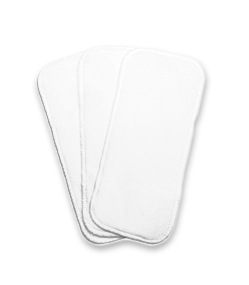 Note that these booster inserts are for use with newborn covers. 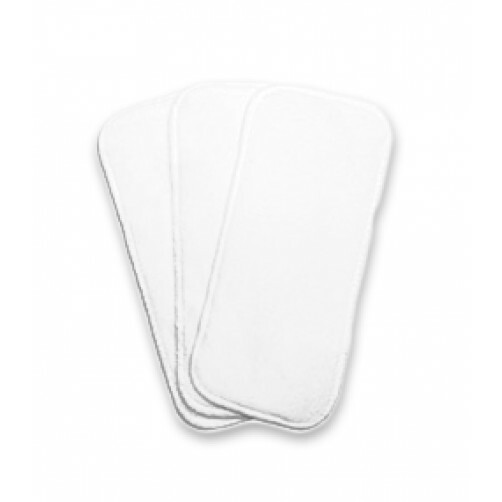 They are not for use with BiddyKins Newborn All-in-One nappies.